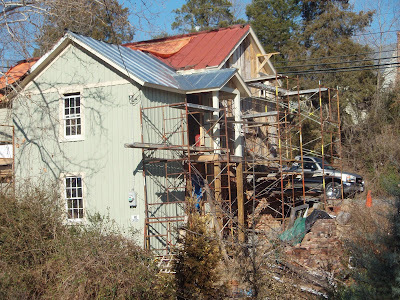 When Albemarle county released their property value assessments for 2009, few people were surprised to see drops in value across the boards. All six districts are down, but the one exception to the losses is the incorporated Town of Scottsville, which is up by 1.7%. This little factoid particularly piqued my interest, because the area just outside the town limits saw the steepest drops in the whole county. What's going on here? 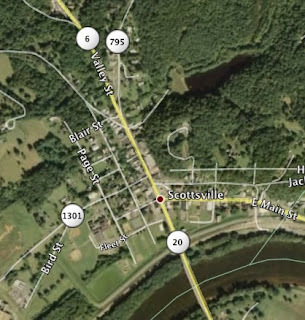 As far as transportation access goes, Scottsville is about as isolated as any section of Albemarle, and I don't imagine that the town itself is a huge engine for job growth. 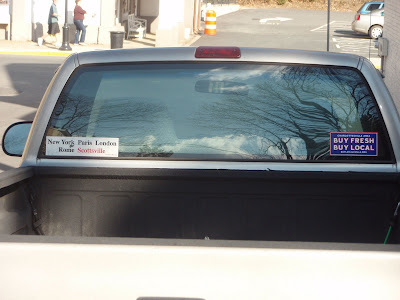 They are certainly still within the economic orbit of Charlottesville. 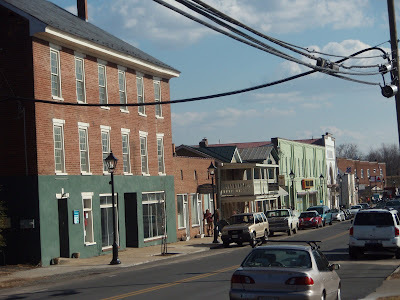 The only factor I can think of that distinguishes it from other parts of the county is the fact that Scottsville truly is a small town with some walkable options to retail, churches, small parks, library, schools, and so on. It looks a little like what New Urbanist architects aspire to, except that it was built in 1744. I decided to visit Scottsville to see for myself the small town that is weathering the storm hitting the rest of the county. A Renovation project is underway on this house on the north end of Valley Street, the main road through town. Scaffolds don other buildings around town, proving that construction work is still happening. Scottsville is on the National Register of Historic Places, and preservation seems to be a high priority for citizens here. The railroad station is closed to passenger travel entirely. In 1915 the Scottsville station used to service four trains per day to Richmond. The last train left the station in 1956, the year Eisenhower signed the Federal Highway Act. 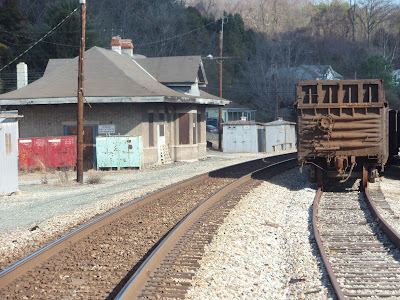 While walking around town, I imagined how life in Scottsville would be different if passenger rail were to be reinstated. 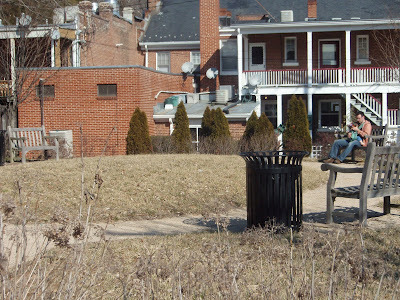 Bruce park, established in 2003, is a nice pocket park right behind Valley Street. The town has another larger park with a play area, a levee walk with views of the James River, and another public theater area - all within an easy walk around town. The historic downtown contains several viable and useful businesses, but there is a good amount of potential vacant storefronts available. Some of the upstairs residential units are being rehabbed as lofts and rented out. Where are the academic planning blogs? Growing in or growing out?